You has us at Pizza, and we bet we had you too. 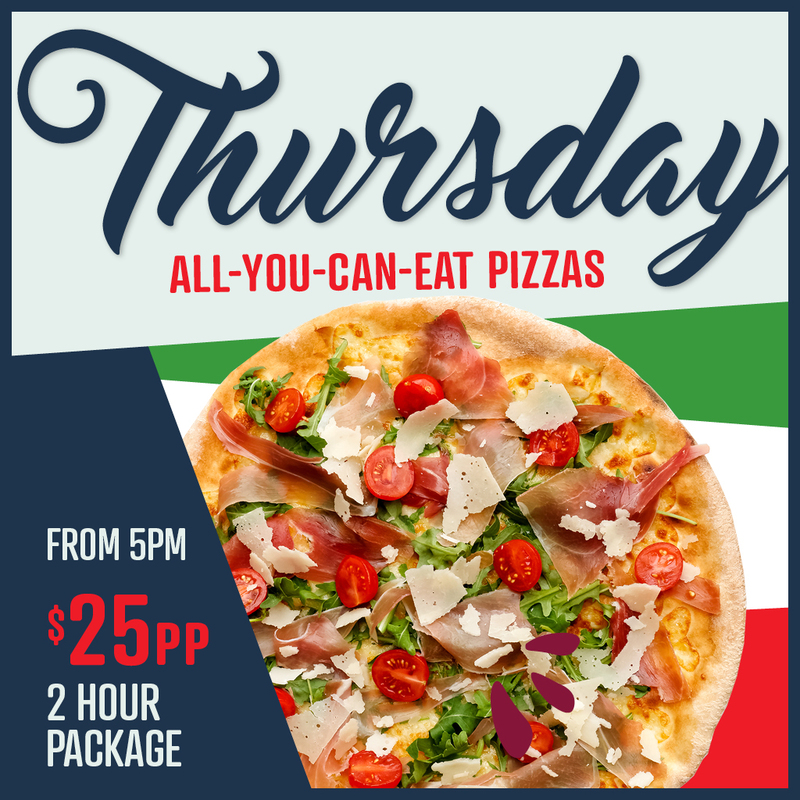 Every Thursday night on The Terrace you can feast on All You Can Eat Pizza from 5pm! For $25pp, enjoy any Pizza from the menu, bottomless. Be sure to pair your pizza party with a round of cocktails and turn your night up a notch. Terms & Conditions Apply: All diners at table mist be on deal. Each pizza must be finished before ordering the next pizza (only one pizza at a time per person). Half and half pizzas not available. Not valid with any other offers or promotions.